Beautiful location lot on pine river. the views of the pasture are breathtaking and has a peaceful setting. There is a horse barn/stable on the property and a 30x40 (roughly) shed on the property as well. This parcel used to have a home on it. Unsure the condition of the septic and water source. Suggest buyer do testing as needed. Please don't wait to make this your new build site and enjoy the peace and quiet! Out of Fremont take 49 south to county rd H west. 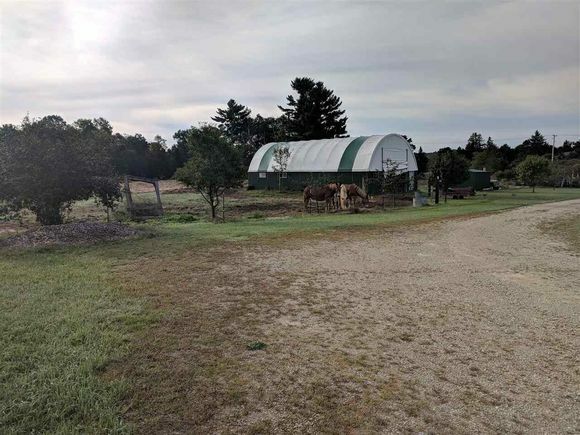 The details on W3478 HWY H: This land located in Leon, WI 54965 is currently for sale for $58,000. W3478 HWY H is a – square foot land with – beds and – baths that has been on Estately for 275 days. This land is in the attendance area of Pleasant View Elementary School and Wild Rose Middle High School.